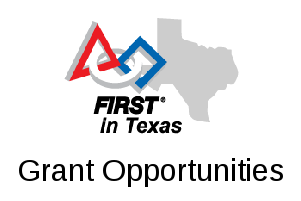 This event is intended for coaches/mentors and programming members of a FTC team. Please pre-register for the event. This will be a FTC clinic focusing on programming FTC robots using Android Studio (Java). The clinic will be held at UT-Dallas on Saturday, October 8 from 1:00p to 4:00p in room FN 2.102 of the Founders North building (Kusch Auditorium). We don’t expect to have any “hands-on exercises” in the clinic, so you don’t need to bring a robot, control systems, laptop, or other equipment with you. You’re welcome to bring these things if you like (for demonstration, questions, troubleshooting, etc. ), but we won’t be allocating a lot of time during the clinic itself to work on them. The clinic will be held in room SLC 1.102 on the UTD campus — see this map for location. With a parking permit attendees may park in any GOLD (yellow) or GREEN spaces in Parking Structure 3 (PS3) or Lot H. To get to PS3, take Synergy Park Blvd on the north side of campus and turn south onto Rutford Ave and then left (east) onto Loop Road NW. To get to Lot H, enter via Waterview Parkway on the west side of campus.